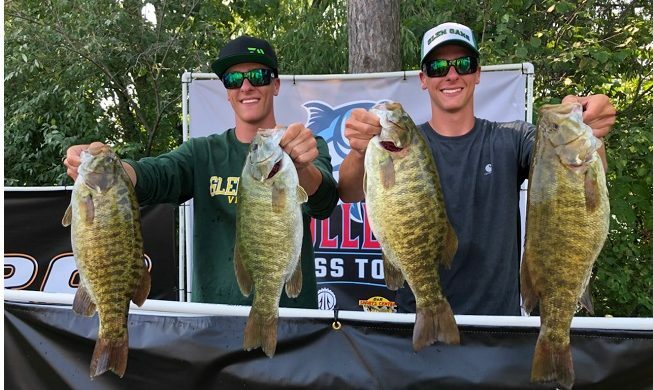 Hunter and Jakob Zona, of Centreville, Michigan, represented Glen Oaks Community College in the Michigan College Bass Tour this season. This past weekend was their Classic Tournament where they took first place, a prize which included a new Bass Tracker Heritage boat. In addition, team Zona were awarded Big Bass of the tournament along with Big Bass of the entire CBT tournament season. 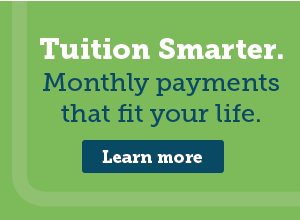 Although not a sanctioned sport at Glen Oaks, the Zonas represented the college, the only community college participating in the tournament. Competitors came from colleges including Grand Valley State, Michigan State, Western Michigan University, Ferris State, Central Michigan University and the University of Michigan. Kevin VanDam, one of the biggest names in bass fishing whose home state is Michigan and his brother Randy VandDam of D and R Sports, launched the Michigan College Bass Tour earlier this year opening it to collegiate teams in the United States and Canada. The tournament began in mid-June on Muskegon Lake and the Grand River, in Muskegon, Michigan, in June, followed by contests on Sanford and Wixom Lakes near Beaverton, Michigan in July. It ended this past weekend at Long Lake and Hubbord Lake in Alpena, Michigan. The Kevin VanDam Foundation was expected to award over $6,000 in scholarships through the course of the tournament. The event attracted an impressive list of contributing sponsors including: Bass Pro Shops, Mercury Marine, Tracker Boats, K&E Lures, Nitro Boats, Minn Kota, Talon, Humminbird, Toyota, Strike King, Mossy Oak, T-H Marine, Plano, Go Pro, Mustad, Oakley, Yeti, Costa, ShowSpan, Midway Chevrolet, Wahoo, Body Armor and D&R Sports (Randy VanDam’s marine dealership and tackle shop) who all stepped up to support the effort.